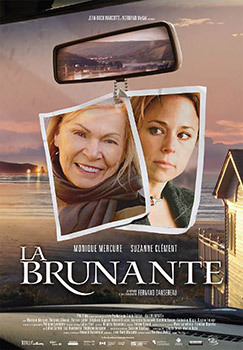 Fernand Dansereau, in a publicity still from his 2006 film La Brunante, began his working life in the early 1950s as a newspaper reporter for Le Devoir in Montreal. He joined the National Film Board in 1955 and is one of the pioneers of the “direct cinema” documentary movement. He was a founding member of the NFB`s French Unit and until 1960, he wrote and directed several feature films and documentaries for the series “Panorama”. From 1960 to 1964, he was executive producer, then deputy director of the production, ultimately responsible for seventy-five films that aired on Temps présent, the television series that became the principal showcase for young Québec filmmakers in the early sixties. He returned to directing in 1964 with the feature Le Festin des morts and made several documentaries before leaving the NFB in 1970 to found In-Media, his own film and television production company. 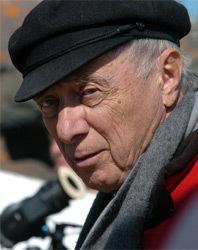 In 2003, he received the Prix Lumière from L’Association des Réalisateurs et Réalisatrices du Québec and was given the Prix Albert-Tessier in 2005.